Does your dealer have a customer shuttle? We do have a customer shuttle that operates Monday to Friday from 7:30am -5:00pm. We provide customer pick up and drop off with a smile. Call 902-436-2138 or email service@dalexmacdonald.com. What is the difference between hybrid and electric vehicles? •	Vehicle seamlessly switches between gas engine, electric motor or a combination of both. •	Gas engine and regenerative braking helps recharge the battery automatically. •	Doesn’t need to be plugged in. •	To enhance the hybrid experience, maximize battery capability by plugging in the standard 120V convenience cord or available 240V home charging option. •	Best of both worlds – drive like an electric vehicle for short trips and hybrid for long ones. •	Progressive hybrid provides the option of plugging in – or not. •	Powered completely by a rechargeable battery so you’ll never need a drop of gas or an oil change. •	Provides a CO2 – free driving experience. •	Features an electric motor, charge port and state-of-the-art lithium-ion battery. •	Owners plug in the vehicle to fully charge the battery pack. •	A Ford-branded 240-volt home charging option is available for purchase with or without installation services from AeroVironment. 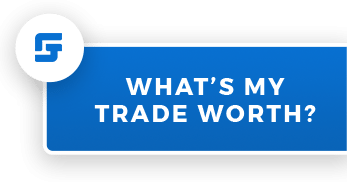 How is my trade evaluated? Appraising a customer’s vehicle is done by our sales manager or general manager. The vehicle’s condition is evaluated and driven by one of our managers. Key factors that determine the value of a vehicle other than year, km’s and trim is the overall condition of the body, paint, tires and performance of the vehicle. A Canadian Carproof history report will be done, along with a Canadian Black Book assessment and an auction market average report. Can I get out of a lease early? It is possible to get out of a lease early by finding someone else who is willing to have the term of the lease signed over to them, so they take on the rest of the lease payments and the responsibilities of the lease agreement. The only cost to you is any administration fees, so this is almost always the cheapest option. You may also choose to trade the vehicle, however an appraisal will need to be done to determine if there is equity in the trade. The trade amount will go towards the current buyout of the leased vehicle in order to pay off the lease. A leased vehicle can be paid out anytime by contacting the dealer and paying out the buyout of the lease. Taxes will need to be applied to the buyout at this time. Should I buy extended warranty? And how much does it cost? Extended warranty that we sell is a Ford warranty that is covered at all Ford dealerships in North America. It is a product that does add value to your vehicle and can be transferred to the next owner. The prices will vary depending on length of warranty and which package is chosen. For more information on Ford extended warranty call our finance manager at 902-436-2138 or email sales@dalexmacdonald.com.